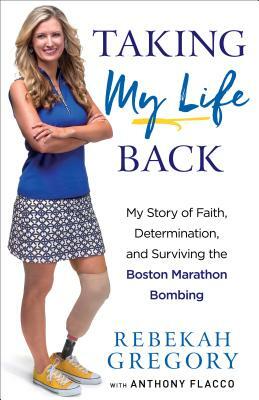 Rebekah Gregory is a woman and mother whose life was forever changed due to the bombings at the Boston Marathon on April 15, 2013. This act of terrorism may have claimed her leg, but it could not claim her spirit. She is now a powerful motivational speaker who encourages people all across the country with her message of faith and hope. She lives in Houston, Texas, with her son, daughter, and her college-sweetheart-turned-husband. Anthony Flacco is a New York Times and international bestselling author with six nonfiction books and three novels to his credit. He holds an MFA in screenwriting from the American Film Institute, was selected for the Walt Disney Studios Screenwriting Fellowship, and spent a year writing for Touchstone Pictures. He lives in the Pacific Northwest.